Published on September 11, 2010 in Bands/Artists, Eastern Iowa, Media, Music, Out and About, Radio, Upcoming Show and Vinyl. 0 Comments Tags: all-ages show, Blue Moose Tap House, IA, Iowa City, KRUI, Little Village, Live, LubDub, Mike Mangione & The Union, Pezzettino, Vinyl, Wolfgang Schaefer. The last time Margaret Stutt who performs as Pezzettino was in Eastern Iowa was back in January as part of a quick jump through the Midwest on her way to some shows on the East Coast. Since then she’s effectively adopted Brooklyn as one of her homes (Milwaukee being the other). Freshly energized from an over-achieved Kickstarter fund raiser for her new record LubDub which is going through the process to create candy-yellow vinyl (in addition to CD and download)– Ms. Pezz has decided to embody the fuller sound of the record (via production by Milwaukee beatsmith and producer LMNtylist) by bringing some additional musicians along with her– a percussionist and a guitarist! This isn’t the first time she’s performed with a band– she used to for local shows, but most of her touring to date has been a solo affair. I’m really excited to hear the new songs and the old done with a full band! Pezzettino will be opening for Chicago act Mike Mangione & The Union at the Blue Moose Tap House in Iowa City on Wednesday, September 15th. It is an all-ages show that starts at 7PM. I don’t know what the cover will be. Pezzettino’s guitarist for this tour is Wolfgang Schaefer and he will be doing a solo set as well. 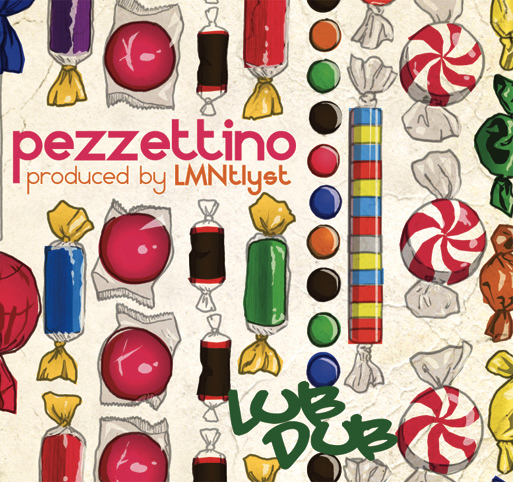 And if that wasn’t enough, before the show at the Blue Moose, Pezzettino will be the in-studio guest for Little Village Live on KRUI in the 5-6PM slot Wednesday night! Here is the Facebook Event for the show— RSVP! Published on October 15, 2009 in Bands/Artists, Eastern Iowa, Music, Out and About and Upcoming Show. 0 Comments Tags: 7", csps, Direct-to-fan, donations, Dwellephant, house tour, legion arts, Live, Melissa Greener, Pezzettino, Vinyl. With the Legion Arts live performance schedule well underway, we are seeing the expected eclectic selection of acts– everything from Viking Folk Music to Czech bluegrass. I’m really excited for the prospects of the upcoming season! Next weekend– 10/18– we see a couple of female singer-songwriters both making their debut in Cedar Rapids and at CSPS. While both take a distinctively different approach to their art, they both are utilizing a business model that involves direct contributions from their fan base. 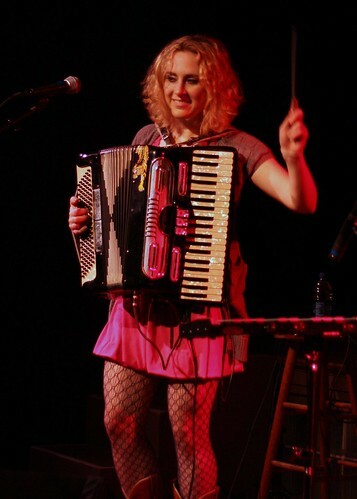 Melissa Greener is described as an up-and-coming singer-songwriter with “quirky and literate songs” and compared to the energy often attributed to Ani DiFranco. Based in Manhattan, her goal is to move back to Austin, TX where she lived and worked for a time and considers home. For her sophomore release Melissa is fundraising at different levels with the goal of completely paying off the recording she has completed which will allow her to be debt-free and able to focus on the business of touring. Opening for Melissa is Margaret Stutt who performs as Pezzettino (“Little Square”). Like Melissa, Margaret is also doing a direct-to-fan type of self promotion and sales. Someone who seemingly doesn’t need to sleep, she is a constant stream of activity and creativity. To fund her tour of houses and art spaces which has her stopping in Cedar Rapids for two nights, she has been taking donations and requests for songs– mostly cover tunes– where she deconstructs the song in question, rebuilding the song in her own distinctive way and making a video for the song. Sometimes dark and moody, sometimes quirky and funny, but distinctly Pezzettino these pieces are generally created and completed within a day! Margaret is a classically-trained pianist (at least until she was 12), but her instrument of inspiration is the accordion. 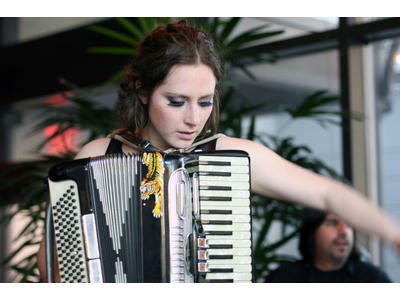 She takes the squeezebox to task with her very personal and emotional songs on her release Lion and the follow up Lamb to be released in 2010 will be a more subdued affair. Don’t miss this opportunity to see two these two up-and-coming artists. The show will be at 7PM at CSPS. Tickets are $10 in advance and $12 at the door. Because the show is on Sunday, it starts early, it will end early for all you concerned with getting up for work the next morning! Pezzettino is pressing a very limited edition (300 copies), random color vinyl 7″ single of “You Never Know” with artwork by Milwaukee artist Dwellephant. As Margaret says, the b-side will be a surprise because, “you never know,” right? 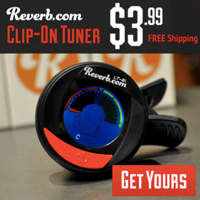 Click Here to learn more and order one! The Time to play b-sides archives for the pezzettino tag.